Luke Stratton thinks about tomatoes year round. And he’s growing them for almost that long. Like many farms in Grainger County in East Tennessee, the Stratton Tomato Farm grows the crop in both fields and greenhouses. 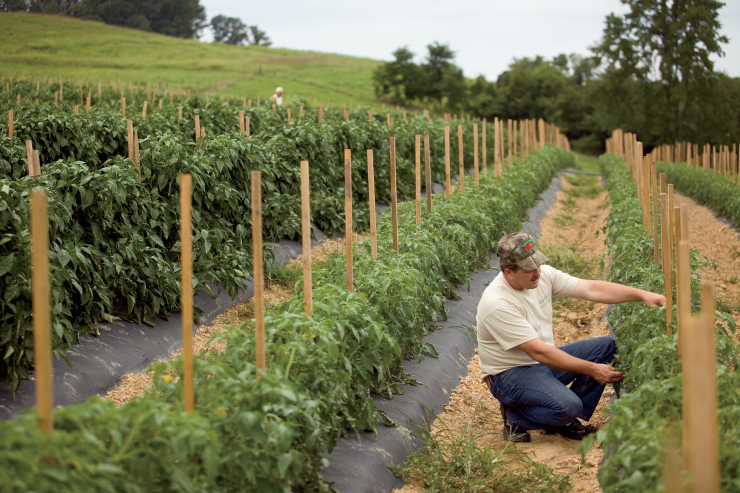 The dual method helps ensure that tomatoes are available from spring well into fall. 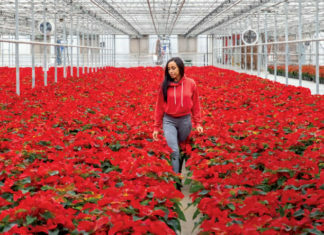 Stratton generally starts his greenhouse tomatoes around Dec. 10, and then plants them about two months later. Typically, they are ready to harvest by late April to early May. 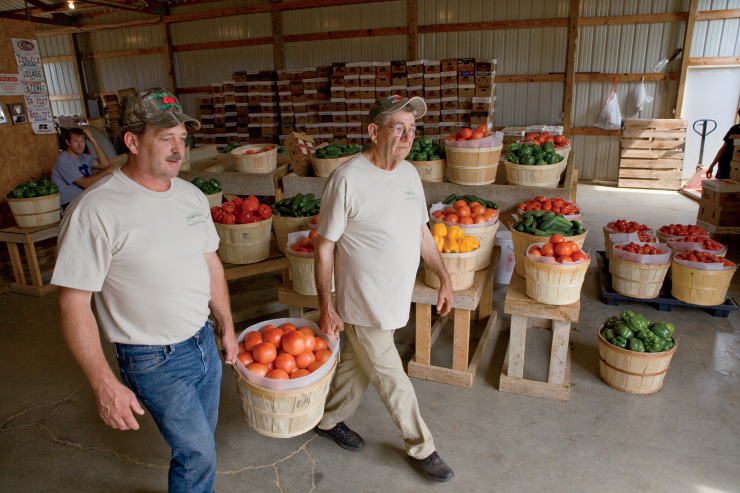 “We do a lot of greenhouse tomatoes here,” says Stratton, a fourth-generation farmer who runs the operation with his father, Lillard Stratton. “We’re close to 50,000 plants under plastic. Grainger County may be the unofficial tomato capital of Tennessee, but it’s only part of the story in explaining how important the crop is to the state. Other top-producing tomato counties include Washington, Unicoi and Lauderdale. 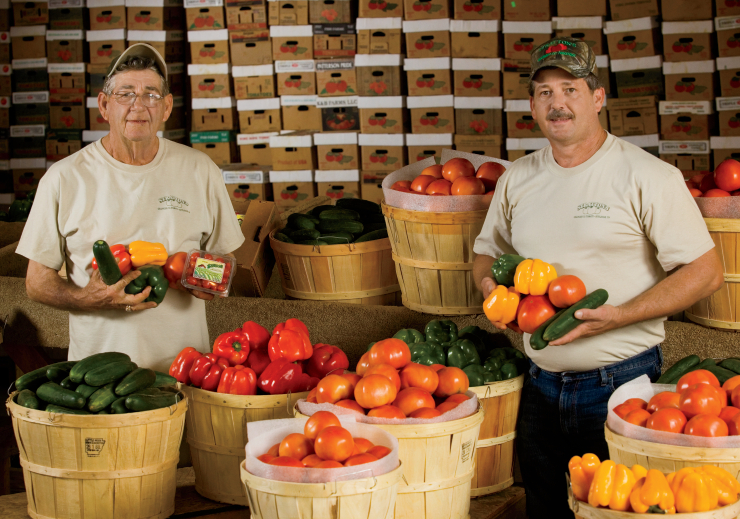 There are some 1,500 farms and about 35,000 acres devoted to vegetables in the Volunteer State, and the state’s vegetable industry is worth nearly $75 million. Snap beans have historically ranked highest for production acreage of vegetable crops in Tennessee, and pumpkins and yellow squash usually are in the top 10 for U.S. production of vegetables by state. 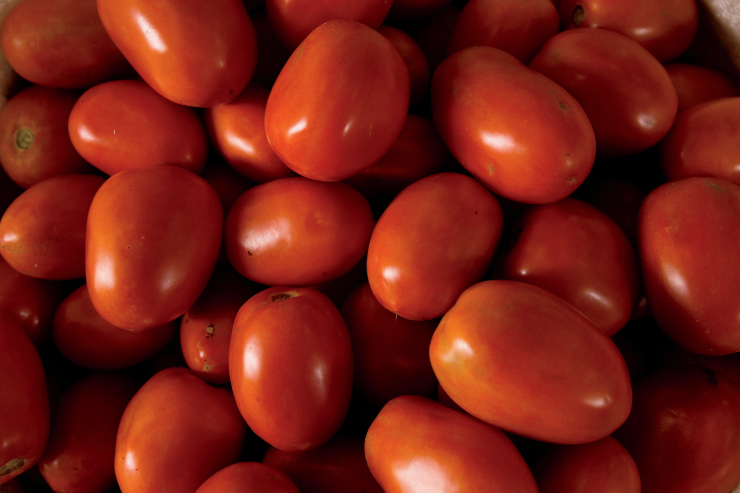 But tomatoes consistently lead vegetable crops in Tennessee for value of production, with the state ranking fourth in the country for fresh market tomatoes in 2011, according to U.S. Department of Agriculture statistics. 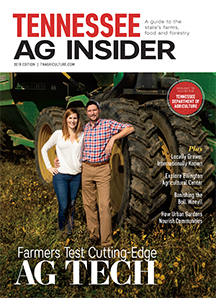 Stratton, who envisions his teenage sons, or perhaps his younger daughters, taking the farm to a fifth generation in a few years, grows 28 acres of vegetables that also include green beans, squash, cucumbers, zucchini and bell peppers. But about one-third of the acreage is tomatoes, featuring varieties such as yellow, Pink Ladies, stripes, grape and others. He sells mostly to grocery stores in East Tennessee, as well as into Indiana and north Georgia. Most of the large tomato farms are irrigated, so the key challenges for that crop may be insects and diseases. Do you ship directly to the home consumer.Md. I would love some good home grown tomatoes. My family in Tenn. get good tomatoes all year .When I visited there I always brought. Lots of tomatoes home with me. We think our farmers for providing us with healthy and delicious natural foods and earth friendly products. Our 2014 goal is to feed, clothe and shelter as many humans and animals as possible. Your support would be most appreciated. Please contact Terrabite at your earliest convenience. Let’s show our children what community spirit truly means. Where can I buy fresh grown Tennessee tomatoes? I live in Greenwood, IN 46142. I used to buy them for years from an outside Market here in Greenwood. They had a man from Tennessee that that would come and they purchased them from him every summer. But this year they decided to no longer open a stand… They were deliscious! So sad that he no longer has his outdoor stand.. Nothing like fresh Tennessee tomatoes!! Do you wholesale tomatoes? Please let me know Either email me or call 702.682.3852.